For those of you who use Google Analytics, or just about any other website analytics tools, you may have noticed the sudden jump in referral spam showing up on your site. Whether it’s flooding your referral data or you’re seeing a spam showing up in your event tracking, it’s equally frustrating to see this junk ruining your data. There are ways to ignore and scrub this out of your metrics by using Google Analytics filters however this only masks the problem and doesn’t solve the other major issue, which is the fact that the referral spam is sucking up bandwidth that is impacting your site experience, and filling your error logs with failed brute force attacks. 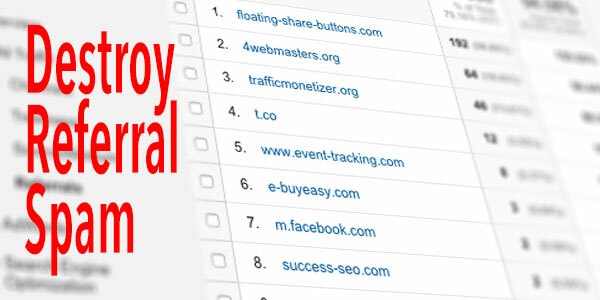 You can easily add additional sites as needed in the list using the same format. Thats it, it’s really not that hard to implement and the bad traffic will stop immidiatly. You may need to update the list from time to time as new pages pop up but thats it!